The perfect Christmas gift for a new expat…. Holidays are coming! Holidays are coming! As I write this, I can hear the tinkle of reindeer bells, the thudding of hooves on the roof, the ho ho ho as Santa takes off into the sky…. Anyway, the book has been called “an absolute must-have for anyone moving abroad“, “perfect for anyone living abroad or thinking of it” and “a must-have for soon to be expats as well as seasoned expats“. Even Bridget Keenan, the author of the acclaimed Diplomatic Baggage and follow-up Packing Up, said she wished she had had this book when she first became an expat wife. Available from all good book stores Amazon, starting at the budget friendly price of just £2.99/$4.62 (who makes up these prices??) for an ebook, or £7.99/$9.99 for a hard copy, you can use this as the perfect stocking filler, wrap it to put under some lucky person’s tree or send it by email as a gift card (or ebook if you are in the US) to that certain someone who you know will most appreciate such a gift. Happy Christmas, thank you to everyone for your support this year and especially to everyone who has bought the book and/or left a review. Here’s to another great expat partner year! Roadtesters update: early days and settling in. If you have been following this blog you will recall that a few months ago I put a call out to expats who would volunteer to “roadtest” the Expat Partner’s Survival Guide. I was lucky enough to get three volunteers, all in quite different circumstances – Erin, who had already arrived in Denmark on her first expat adventure so would look at the early chapters of the book retrospectively; Lynsay, who was about to move as a second time expat – from Dubai to South Korea; and Nichole, who was a first time expat moving with her family from Australia to the US. By clicking on the roadtesters tag at the end of this post you can follow some of their earlier exploits, but now we are at the point of discussing the early days in our new lives, the settling in period. I may or may not get something specific from Erin, and if I do I will post a link to it. Lynsay wrote this post on Arrival and the Early Days, and I myself hope to do an update to cover the first few chapters in the coming days. But in the meantime, Nichole wrote to me from Manhattan, where she has been discovering the joys of driving in a new location, juggling looking after small children with all the practical elements of setting up a new home, and the art of “supermarket hopping”. Quite the punchy group of headings there. I particularly fancy Chapter 6 but am pleased to say that this doesn’t apply to our particular set up circumstances. I do remember discussing the difficulties of having to become used to having a cook, house keeper and nanny in your house with a friend that moved to Jordan with her young family a year or so ago. It might sound like a dream come true at face value but it would totally weird me out in reality. We are now two months into living in the USA and, as I have been incredibly slack in my blogging, I am reflecting over this time in reference to these chapters. Thankfully, my husband had the first couple of weeks off work when we arrived. During this time we stayed for a few nights in Manhattan and then moved out to some temporary accommodation in East Elmhurst (Queens). We imbibed in some touristy malarkey, got over our jet lag and then started looking for a permanent residence. Finding permanent accommodation is stressful, but it’s also worth getting right. And this can take time. Our temporary accommodation was, on paper (and Airbnb), in a family friendly, secure area with lots of amenities close by. In reality, we did not feel comfortable here at all. Miss E couldn’t sleep because she didn’t feel safe. It’s amazing how sometimes kids have the ability to sum up a situation so easily. We didn’t feel safe here, whether it’s because we are used to our cosy, suburban Melbourne life and the culture shock of having someone sleeping in a clapped out limousine on the street 5 doors down was a little too confronting, or perhaps it wouldn’t have mattered where we were, we just needed to find our permanent place here so that we could start to feel normal again. For most of that period Miss E slept with me and my husband slept with Master P.
It was hot and humid, the cooling provided was useless, there was no TV and we had minimal things to keep the kids occupied. It was nice to be able to cook a meal but tough trying to find ‘normal’ food. It wasn’t really a place you could chill out in for the day. The need to find a house became instantly pressing as we just wanted to get the heck out of East Elmhurst as quickly as possible. We had hired a car for the gap before we picked up our own. Clara’s detail in Chapter 4 around driving in a different country, not only entailing the actual physical act of, but also including things like what kind of petrol you need, where to get it, what to do if you break down, where to park and getting some local landmarks down pat was brilliant. There are many things that you take for granted, especially as a seasoned driver, but doing so in a new country comes with its own challenges, not just including remembering to drive on the correct side of the road! Driving in snowy and icy conditions is going to be interesting. At this point, we left the house in the morning and came home to sleep. And the kids had to be towed along on all of these outings as we don’t know anyone here. Kids don’t like looking at houses. Kids don’t like sitting in the social security office. Fair enough. I unashamedly upped the amount of GB on my phone and the kids pretty much had open slather when SK and I had to attend to administrative details. During this time, particularly if you have children, you really have to reassess some of the hard and fast rules that usually apply, just for a little bit of a calm. SK going to work and us moving into a house both happened and both of these things increased the amount of boring shopping trips that I needed to drag the kids to. Finding furniture, getting utilities connected, registering for school etc, it seems never ending for a while. “Supermarket-hopping” . I’m not sure if Clara penned this phrase originally or if it’s a recognised expat phenomena but YES, I have been doing this. We have been living in our permanent house on Long Island, New York for approximately 6 weeks now and in that time I think I have visited around 8 different supermarkets and have only now developed a preference, (which my husband disagrees with). Going forward, I believe we will be working on a two-supermarket-preferred basis and throwing in a farmers market when we can. The agent that we rented our house through provided us with a list of her local personal favourites and this has been quite invaluable, although we disagree on supermarkets. Take advice where you can get it, you have to start somewhere after all! I find that even though we have moved from one English speaking country to another, there are still many times where I am not understood or there are completely different words for the same thing. Many of Clara’s anecdotes deal with the more obvious language issues when your first language is generally not used in your new environment which I am so glad that I did not have to go through. My issues are generally quite amusing. For example, I asked a store worker where the ‘rakes’ were. After saying it three times he asked me ‘what do you want to do with it?’. When he realised what I meant he repeated ‘rake’ back to me and I swear it sounded exactly the same as the way that I had pronounced it! And my old favourite, don’t ask for lemonade in the US unless you want something that resembles lemon cordial. You have to ask for Sprite or 7Up. Thanks Nichole – it’s great to hear the book has been coming in useful. 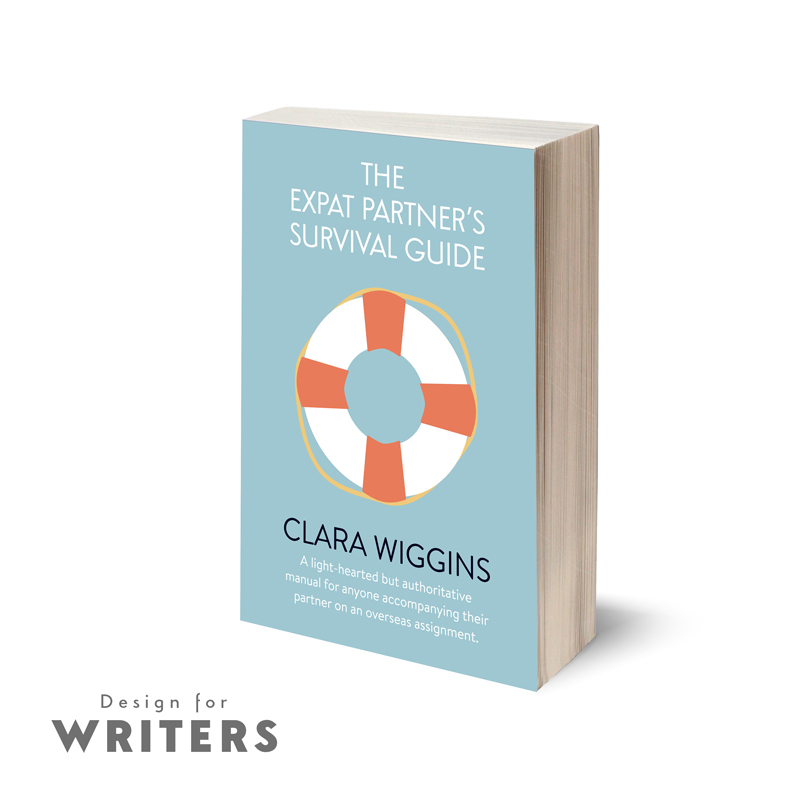 If anyone else has read the Expat Partner’s Survival Guide and found my advice to be helpful please come and tell me – and spread the word with others in the same situation!